Beginning in 2013, a new iteration of RoHS, appropriately named RoHS2, will come into force, which is an updated version of the original RoHS directive. The hazardous substances that are controlled are the same, but the new directive applies these controls to new, previously exempt products including individual cables sold with our equipment and medical and control/monitoring products. Of course, Hope Industrial will be ready, with all applicable products fully compliant with RoHS2 by the mandated 3 Jan., 2013 deadline. 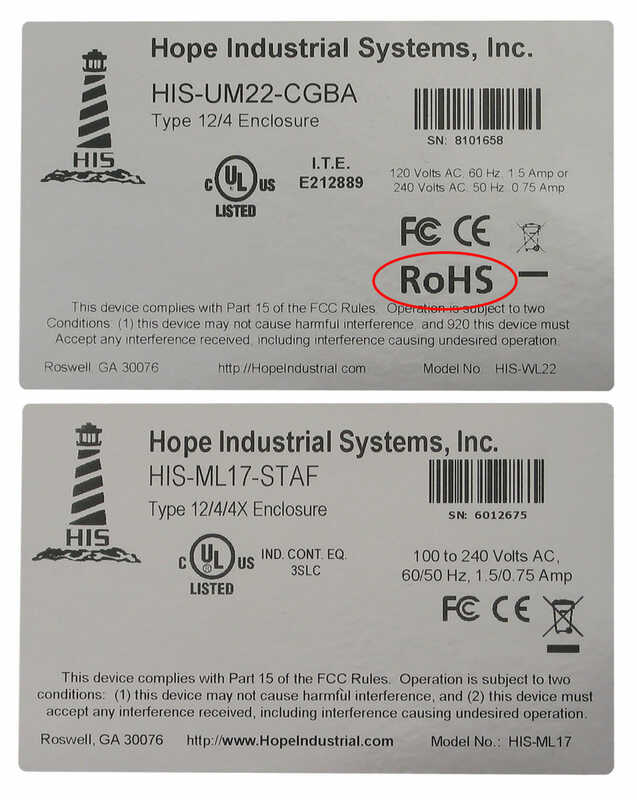 Perhaps the most obvious change is that instead of the standard “RoHS” label generally seen on RoHS-compliant products, our labels will simply carry the standard CE mark, which now designates compliance with the RoHS directive. CE declarations of conformity will be available on our website.